New Megos: They look mostly like a T2 body. But I have not stripped one down. I bekieve the head attaches differently. Different mold? Different materials? Different ways to attach limbs an joints? CAn parts be interchange with T2 megos the way EMCE, CTVT/FTC can? Are the considered T2? Modified T2? T3? Something else? Type 0 was the first all plastic Mego body. That David Lee body is Type S.
The New Mego body is the same as a Type 2. Only difference is the head attachment as you stated so works with all other parts interchanged. I've already made hybrid bodies. With all due respect to Farley’s cool customs, the natural answer is type 3 which is exactly why he named his customs that. 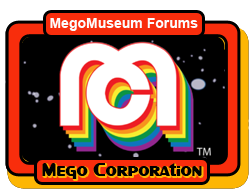 Mego Corp has type 1 and 2 so Mego Corp moves to 3. Very simple debate if u ask me. But this sounds like the sort of thing adult collectors love to bicker about so I’ll go heat up some popcorn in the microwave and pop back for more responses. ... Very simple debate if u ask me. 1st - I want in on the bickering. Last edited by Brue; Feb 11, '19 at 1:21 PM. I say we call it the "New2" or "N2" for short. "If you take a dog which is starving and feed him and make him prosperous, that dog will not bite you. This is the primary difference between a dog and a man." *****I can't keep the small female bodies straight. I think there are four. I would refer to the new Mego bodies as T'Paul and T'Pol and John's bodies as Furley. I suggest we call them something else. We have type o, type 1, type 2 vintage and now type 2 new. I have Type 3. I have had Type 3 since January 2004. That's 15 years of Type 3. Please, someone come up with an original idea for a body name, like I did 15 years ago when I named the body I designed the Type 3. Last edited by Type3Toys; Feb 11, '19 at 3:17 PM. All times are GMT -5. The time now is 2:01 PM.